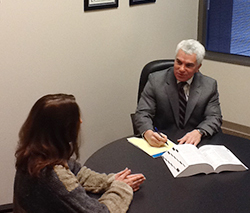 Attorney Lee Rosenthal understands the legal complexities and emotional turmoil involved in domestic relations matters. Mr Rosenthal provides experienced, compassionate and aggressive representation to ensure a thorough resolution to your challenges regarding family law, child custody, visitation, parenting rights, retraining orders or divorce. Together, we will reach a positive resolution of your case so that you, and your family, can move forward. We will determine whether litigation, negotiation or mediation best serves your interest and we will work, tirelessly, to protect you, your children and your assets. The outcome of your case will have a profound and long-lasting effect on you and your family, please do not attempt to tackle this complex and legal matter on your own.